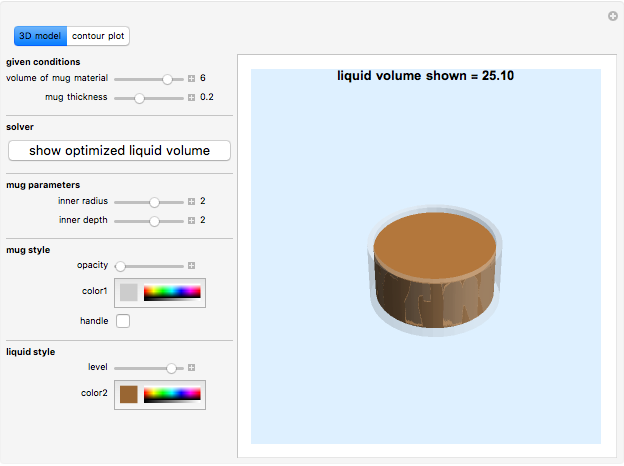 An important goal in engineering is to reach maximum function with minimum resources. 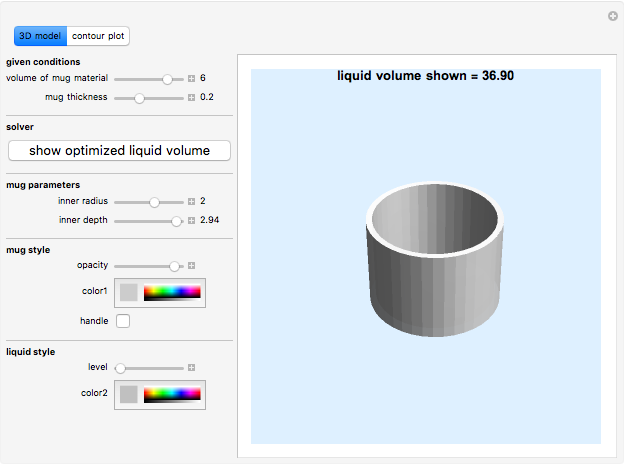 This Demonstration answers the question: how do you design a cylindrical mug to contain the maximum liquid for a given volume of material? Frederick Wu "The Mug That Holds the Most Liquid"